Blessed with beautiful natural areas, Massachusetts offers an array of unique attractions for all types of travelers. The East Coast of the United States is rich in culture, history, and tradition, making it a premier vacation destination for just about any traveler. From great burgers, barbecue and steak to Thai street food, ramen and Italian dishes, there are many tasty options in the Washington, D.C. Area. Visit the Worcester Art Museum, explore the EcoTarium with kids and learn about the local history at the Worcester Historical Museum. Most dogs love a beach where they can frolic and test the waters – the East Coast is extremely well-endowed with great dog-friendly beaches, particularly if you visit out of peak season when dogs are allowed on most beaches at any time. Maine is famous for its rugged coastal scenery, Acadia National Park, quaint fishing communities and historic towns. Visit New Hampshire for spectacular fall foliage displays, great skiing in the winter, scenic drives, art galleries and museums. 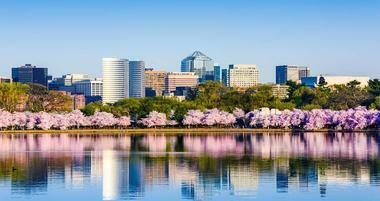 Massachusetts is home to Boston where you will find amazing art, music, parks and restaurants. Relax on the sandy beaches of Martha’s Vineyard and Nantucket which you can explore by bike to take in the wonderful scenery and fresh ocean air. Or check into a spa in the Berkshires to get pampered from head to toe. In Rhode Island, you will find historic mansions, coastal hiking trails, pretty lighthouses, museums and scenic state parks. Connecticut is an easy getaway from New York City, offering art galleries, outdoor events and festivals. Visit New York City for great shopping, sports events, world-class museums, a diverse choice of hotels, activities and dining. Explore New York’s Hudson Valley, especially if you enjoy quiet country inns, antiquing and farm-to-table cuisine. New Jersey offers affordable vacation rentals along the shore but be sure to book early during the busy summer season. Many visit Delaware for its tax-free shopping, state parks, museums and gardens like Winterthur. Immerse yourself in history or visit the beaches in Maryland, a popular getaway from Washington D.C. Virginia is home to beautiful mountains, famous attractions such as Thomas Jefferson's Monticello, pretty towns and romantic inns. Drive along the scenic Blue Ridge Parkway in North Carolina, tour the historic Biltmore Estate in Asheville, and visit unique museums. 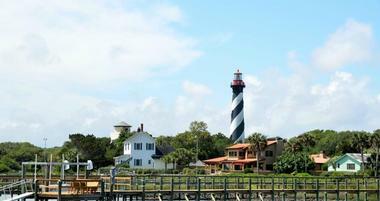 South Carolina is known for its beaches, golf, scenic hiking trails and relaxing spa resorts. Georgia offers a choice of sports, luxury, adventure and entertainment for the whole family. Florida attracts visitors with its sandy beaches, plush resorts, secluded island hideaways and a diverse range of activities. With an incredibly rich maritime history, tourists can learn all about Portland while roaming around the 86 foot tall museum and National Historic Landmark, the Portland Observatory. The fresh sea breeze and a view of ships coming in and out of the harbor can also be enjoyed at Commercial Street. For those who want to get out and explore the ocean and nearby islands, the sandy beaches and restaurants at the Islands of Casco Bay are a must see and a great way to escape the busy city. Meanwhile the Odyssey Whale Watch tour allows marine lovers to venture out and search for whales, sharks, dolphins, sea birds and sunfish on a fully-equipped ocean vessel. Soak up some history on land at the Victoria Mansion, an Italian Villa style home built in the late 1850’s, which remains a true symbol of pre-civil war glamor and luxury. The Portland Museum of Art boasts a 17,000 piece collection with objects dating back to the 18th century, a treat for museum buffs. An unusual but exciting visit to the International Cryptozoology Museum will give you an up-close and personal look at hidden creatures like Big Foot, the Abominable Yeti and lake monsters along with unusual animals like the Komodo Dragon and the Coelacanth. Foodies will certainly enjoy the Maine Foodie Tours, led by passionate local food lovers, and the Allagash Brewing Company Tours where Belgian-style beer and ales are produced. There’s nothing quite as relaxing as a weekend getaway in the charming New England city of Providence. Explore the city via the Providence River with the guided tours on the Providence River Boat, or take a ride in an authentic Venetian gondola at La Gondola Providence. See what Providence has to offer in terms of nature at the Botanical Center at Roger Williams Park which houses 12,000 square feet of indoor and outdoor gardens, or at the Roger Williams Park Zoo, one of the nation’s oldest zoos with an award-winning conservation program and over 100 species of rare animals. For inquisitive minds, visitors can gain a greater understanding of the natural world through exhibits, displays and interactive presentations at the Museum of Natural History and Planetarium. Oozing with culture and stunning performances, tourists can catch a Broadway show or other theatrical performances at the Providence Performing Arts Center or witness world-class premiers by the longest-standing resident acting companies in America, the Trinity Repertory Company. Take a walk through culinary history at the Culinary Arts Museum, home to over 250,000 culinary items and over 60,000 cookbooks. Visitors can also indulge their passion for literature in the Providence Athenaeum, a library founded in 1836 that is dedicated to the appreciation of books and all things literature related. A quiet town in Fairfield County, Norwalk is the perfect place to escape the busy and sometimes stressful nature of big cities. On the top of the list of places to see is the eclectic neighborhood of SoNo, the South Norwalk Historic District, where the maritime nature of Norwalk can be enjoyed alongside trendy restaurants, stores, and other sightseeing attractions. One of these sightseeing attractions is the Maritime Aquarium, home to over 2,000 marine mammals and fish, a research vessel called the Oceanic, special exhibits and 3D simulation rides. The Stepping Stones Museum for Children features hand-on and interactive exhibits designed to encourage children to learn, inquire, discover and explore, while the SoNo Switch Tower Museum showcases towers used by railroads and reveals the story of “Signal Station 44.” Take a trip back in time at the Lockwood-Mathews Mansion Museum, a second empire-style home built by LeGrand Lockwood in the 1860’s or visit one of the first restaurants in SoNo, Match. 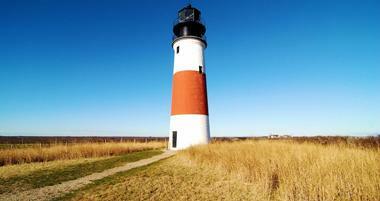 One excursion that should definitely not be missed is a trip to the Sheffield Island Lighthouse and Nature Trail where tourists can wander around the lighthouse and embark on a guided walk with the Norwalk Seaport Association’s Friends of the Norwalk Islands. One of the world’s most famous college towns on the EastCoast, there’s a lot of spectacular places to see in Princeton, New Jersey, many of which are inside the university grounds alone. The Princeton University Art Museum is regarded as one of the best small museums in the world with an impressive collection of over 92,000 art pieces. Cleveland Tower and the Princeton University Church are must-see iconic architectural features of Princeton University, while Nassau Hall, the administrative center of the university, is a historic landmark which housed soldiers during the American Revolution. Marvel at the Princeton Battle Monument, a 50 foot sculpture of General George Washington leading troops into battle, or spend a relaxing afternoon by Lake Carnegie, the main training ground of the Princeton rowing team. Other fantastic sights and attractions in Princeton include the Morven Museum and Garden, an 18th century house built in 1750 by one of the signatories of the Declaration of Independence, Richard Stockton. Spend an afternoon exploring the site of one of the fiercest battles in the history of the American Revolution at Princeton Battlefield State Park and view war exhibits at the nearby Clarke House for a taste of 18th century history. Head to the Delaware and Raritan State Park for an active day of canoeing, hiking, cycling, jogging and more, or catch one of over 200 performances at the McCarter Theatre Center for the Performing Arts, one of the most active cultural centers in America established in 1930. An exciting EastCoast weekend filled with fun activities can be found at the popular vacation destination of Atlantic City. Take advantage of Atlantic City’s incredible beaches and shoreline at the Steel Pier, one of the city’s most popular attractions featuring an amusement park with over 25 themed rides. Take a stroll along the sea side, feast on tasty treats or head out for a pub-crawl at the Atlantic City Boardwalk, which dates back to the 1870s. Head out into the water and view the city’s magnificent skyline with Bottlenose dolphins all around you on the Atlantic City Cruises, or take part in adrenaline pumping water sports at the Gardner’s Basin with Atlantic City Parasail. Better yet, get up close and personal with over 100 varieties of marine animals or watch and participate in sea shows and daily feedings at the Atlantic City Aquarium. Curious minds will love a visit to the Pipe Organ Tour, a behind-the-scenes look at the world’s largest pipe organ at Boardwalk Hall built by the Midmer-Losh Organ Company in the 1930s. A stunning view of the city skyline can also be enjoyed at the Absecon Lighthouse, the tallest lighthouse in New Jersey and one of the oldest in the country. City recreation is best enjoyed at The Quarter at Tropicana, a little piece of Old Havana’s exotic culture in the heart of Atlantic City with world-class retail stores, gourmet restaurants, exciting nightlife and luxurious spas. There’s an exciting array of activities to take part in on the small island of Hilton Head, one of which is taking a dip or cooling off under a beach umbrella at the largest and most popular beach in the area, Coligny Beach Park. A short boat ride away in between Savannah, Georgia and Hilton Head, South Carolina, is the small Daufuskie Island, a historic district known for its role in the Civil War and its original inhabitants, the Gullahs. Maximize the best that Hilton Head’s coast has to offer at H2O Sports, a premier water sport destination with parasailing, paddle boarding, Jet Ski and sailboat rentals, kayaks and more in their repertoire of activities or visit the Live Oac Outdoor Adventure Company to experience the island’s diverse marine life firsthand in their natural habitats. Explore mysterious forests, secluded lakes or traverse walkways suspended over crocodile infested swamps at the Sea Pines Forest Preserve. Coincidentally, the preserve is home to an ancient ceremonial plaza known as the Indian Shell Ring, used by nomadic Indians roughly 4,000 years ago. Other forest activities include a trip to the Pinckney Island National Wildlife Refuge, which features 14 miles of trails, and ZipLine Hilton Head, where tourists can soar amongst enormous oak and pine trees at 75 feet in the air. 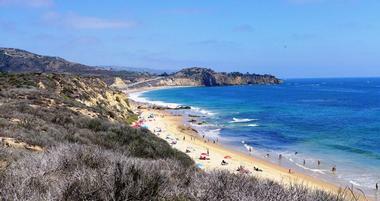 Situated along the gorgeous coast lines of South Carolina, Myrtle Beach is a haven for beach and nature lovers alike. Natural attractions at Myrtle Beach are spectacular and the ocean view can best be enjoyed at the Myrtle Beach Boardwalk and Promenade while meandering through the dozens of shops, restaurants, cafes and arcades along its 1.2 mile ocean front walkway. To enjoy an unbeatable view of the area, take an exhilarating ride on the 187 foot tall Myrtle Beach SkyWheel. Be one with nature and explore nature trails while camping out or renting a cabin at the Myrtle Beach State Park, home to several miles of maritime forest and a fantastic beach. For families ready to take a walk on the wild side, the Wild Encounter guided walking tour at the Myrtle Beach Safari will take visitors through the 50 acre wildlife preserve to interact with animals living wild outside the confines of cages. There’s tons of high energy activities to take part in at Myrtle Beach as well. Soak up some sun and learn how to surf with the Downwind Surf and Paddle Company or get an adrenaline rush at one of the 27 rides at the Family Kingdom Amusement Park. The Pavilion Park and Backstage Mirror Maze are also exciting options to visit with the family. Don’t forget to get to visit attractions like the Ripley’s Wax Museum, Legends in Concert or Broadway 17 at Broadway at the Beach, and check out a collection of over 100 restored classic cars at Wheels of Yesteryear. Jam packed with activities for avid travelers, Virginia Beach is home to several parks, great tours and lovely museums. On the top of the list of places to see is the Virginia Beach Boardwalk, which spans over 3 miles and is the heart and soul of the community. 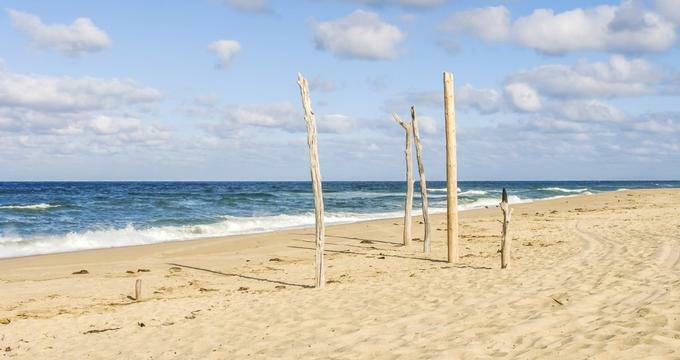 No visit to Virginia Beach is complete without a trip to one of a handful of its parks including the surf community’s favorite beach, the Little Island Park. The First Landing State Park is the most visited park in the region and boasts the best view of Chesapeake Bay while the False Cape State Park is one of the last remaining undeveloped locations of the Atlantic Coast and perfect for hiking, camping and kayaking trips. Don’t miss out on the Sandbridge Beach and Lake Lawson either. Awesome tour options in the area are the stand up paddle board tours of Beach Eco Tours and the Rudee Flipper Dolphin Tours, the longest running dolphin cruise in the region. Museum aficionados can explore and learn about contemporary art in over 6,000 square feet of exhibition space at the Virginia Museum of Contemporary Art or wander the largest collection of military aircrafts from both World Wars in the world at the Military Aviation Museum. Swing by the Virginia Aquarium and Marine Center to meet and interact with over 12,000 animals from various habitats. One of the top tourist destinations in the United States, Miami, is a fantastic city to visit for a quick weekend getaway. South Beach is arguably the hottest place to be in Miami and is home to the state’s rich and famous and stands out thanks to its long sandy beaches and crystal clear waters. Experience the bohemian charm of the oldest community in Miami and pay a visit to dozens of sunny sidewalk cafes at the peaceful bayside village of Coconut Grove. An intimate wildlife experience and hands-on guided tour at the Zoological Wildlife Foundation will introduce animal lovers to rare and endangered animals in captivity and in the wild, while bird lovers will marvel at Jungle Island’s impressive array of birds and other animals from around the globe within a contemporary and interactive setting. Head to the hub of Miami culture at the Wynwood Art District, which is home to over 70 art galleries and boasts the most vibrant and eclectic art scene in the city. Meanwhile, a more laid back approach to art is offered at Painting with a Twist, where visitors can sip on their choice of drinks while learning how to paint under the expert tutelage of entertaining instructors. Make sure to pay a visit to the home of the Miami Heat basketball team, the AmericanAirlines Arena, then head to Shallow Tails Fishing Trips for high energy sports fishing trips at Biscayne Bay, the Flamingo Everglades and more. Baltimore offers both young and old a great variety of attractions. A good place for first-timers to start their visit is at the Baltimore Inner Harbor where you can get a city overview from the Top of the World observation deck at the World Trade Center and visit the National Aquarium, the Historic Ships in Baltimore Maritime Museum and the interactive Maryland Science Center. There is a long list of historic sites you can visit including the B&O Railroad Museum and historic Fell’s Point, which is chock-full of 18th and 19th century architecture. 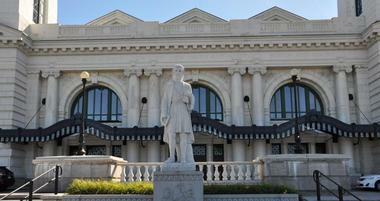 The Walters Art Museum is a must for art lovers, and children will enjoy the Port Discovery Children’s Museum and Maryland Zoo. Savannah is a gem of Southern hospitality and a truly magnificent place to visit. The river front city is rich with history being home to places like Old Fort Jackson, one of the oldest brick fortifications in the country and the headquarters of the Confederate forces during the Civil War, and the Juliette Gordon Low Birthplace, the first Registered National Historic Landmark in the city. The Savannah Historic District, established in 1733, is filled with awe inspiring Gothic, Greek and Georgian revival buildings as well as historic mansions, parks and fountains. The Savannah Waterfront itself is brimming with historical value as it was filled with cotton warehouses in the early 1800s then was abandoned for over 100 years when the yellow-fever epidemic hit the city. Ship and maritime history lovers can examine memorabilia of 18th and 19th century ships at the Ship of the Sea Maritime Museum, which interestingly enough is housed in the home of one of the owners of the ‘Savannah’, the first steamship to cross the Atlantic Ocean. Forsyth Park, located in the heart of the city, is a local favorite for leisure activities and a great place to get some jogging in. Animal lovers can get to know the marine animals that live along the Georgia coast at The University of Georgia Aquarium, while first time visitors to the city will definitely want to take part in the Savannah Taste Experience Food Tours - the best way to learn what Southern food and hospitality is all about. Explore historical attractions, gorgeous views and entertainment hubs in Charleston, the oldest city in South Carolina. Immerse yourself in the history of African-Americans at one of the oldest restored plantations in the South, the Magnolia Plantation and Gardens. Other historical jewels in the city include the Edmondston-Alston House, a home built in 1825 that still retains many of its original family items, the Nathaniel Russell House Museum, circa 1808, and Drayton Hall, an 18th century plantation. The city is also home to the Charleston Museum, the first ever museum established in the United States which was founded in 1773 and to this day remains dedicated to preserving the natural and cultural history of Charleston. At the end of your trip through history, shop for great bargains and delicious treats at one of the oldest public markets in the country, the Charleston City Market. Watch an enthralling performance at the Charleston Music Hall, a former passenger station for the South Carolina Railroad, or laugh out loud at original performances by upcoming comedians at Theatre 99. To get a taste of the best that South Carolina’s world-renowned cuisine has to offer in terms of food, heritage and culture, head to the Charleston Culinary Tours. Visit the top attractions of the South Carolina Aquarium like the Great Ocean Tank, the rare albino alligator and the Sea Turtle Hospital, for an interactive experience with the whole family, or people watch and enjoy the scenery at the Waterfront Park. An award winning resort situated near the Catskill Mountains in New Paltz, the Mohonk Mountain House offers couples and families alike an idyllic vacation and respite from the noise of the city. The resort is located in a Victorian castle that was built in 1869 and features an old-world charm within four furnished rooms and three kinds of suites while still offering world-class amenities. Sample delectable offerings from the resort’s restaurant, sip on drinks at the Carriage Lounge or retreat to The Spa for a thoroughly relaxing and serene range of spa treatments and activities. A complimentary Kid’s Club is available to children and exposes the youngsters to exciting activities like canoeing, hiking and scavenger hunts. Just a short drive north of Manhattan and sitting magnificently at the top of Westchester County, is the Castle Hotel and Spa. With a rich century-old history dating back to America’s Gilded Age, the hotel is nestled within acres of gorgeously manicured gardens and boasts an impressive view of the Hudson River. Lavish guest rooms are equipped with wood-burning fireplaces and grand amenities, making it a favorite vacation destination amongst celebrities and dignitaries alike. Savor a meal at Equus, the Castle Hotel and Spa’s award-winning restaurant, or retreat to the brand new THANN Sanctuary Spa for holistic therapies and treatments. Situated in a remarkable 75 acre estate along the Hudson River, the Buttermilk Falls Inn is a relaxing destination for any occasion. Built in 1764, the Inn’s main house has ten uniquely decorated rooms, each of which enjoys a stunning view of the river or gardens. Additionally, Buttermilk Falls Inn offers four beautiful guesthouses and a repurposed barn with eight additional cottages, each with its own breathtaking panorama and private outdoor spaces. Delight in the farm-to-table cuisine offered at the inn’s restaurant or explore the adjacent Millstone Farm, orchard, aviary, apiary or Buttermilk’s livestock barns for a unique and enjoyable afternoon. The eco-friendly Buttermilk Spa is also available for the perfect addition to a weekend getaway. Owned and operated by native Midwesterners, Barbara Shinn and David Page, Shinn Estate Vineyard and Farmhouse is one of first farm-to-table establishments on the East Coast and was founded in the early 90’s. As of 2010, the estate became the first sustainable winery and inn and the first Long Island winery with a farm distilling license. Picturesque views and an elegant atmosphere can be enjoyed here and guests are encouraged to connect with nature at this elite bed and breakfast. The Shinn Estate Vineyard and Farmhouse has four guest rooms with luxurious amenities, while guided tours of the vineyard grounds are available to guests during the weekends. Found on the top of Gull Hill in Provincetown, Lands End Inn is rich with history and provides visitors with the chance to escape the tiresome grind of everyday life. Lands End Inn features eighteen grand and richly decorated guest rooms with an unparalleled view of the ocean and unique themes. Guests are invited to kick-off the day with a healthy and tasty breakfast before spending hours unwinding at the beach or exploring the downtown area. Strategically located in Provincetown, the inn is also just a stone’s throw away from popular tourist attractions with the local art scene being a particular favorite among many of the inn’s previous visitors.